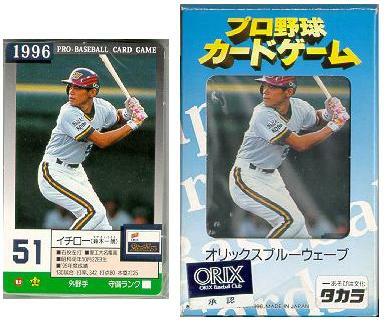 Takara '93 - Blue Wave 30-card Team Set or just Ichiro card. 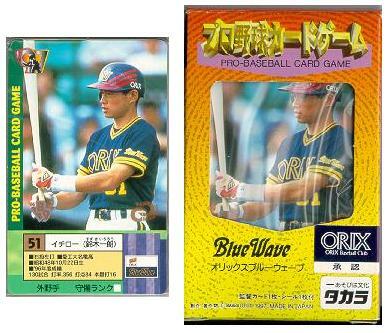 Takara '94 - Blue Wave 30-card Team Set or just Ichiro card. 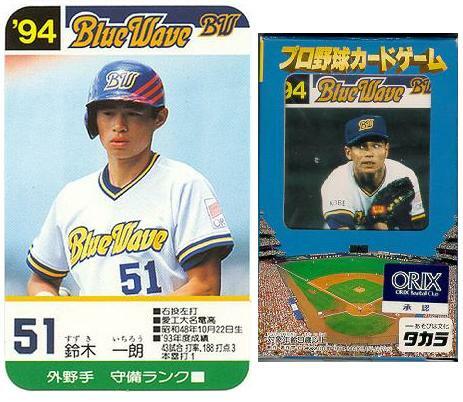 Takara '95 - Blue Wave 30-card Team Set or just Ichiro card. 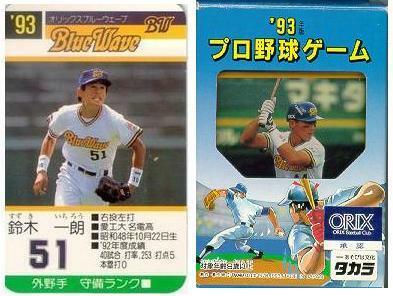 Takara '96 - Blue Wave 30-card Team Set or just Ichiro card. 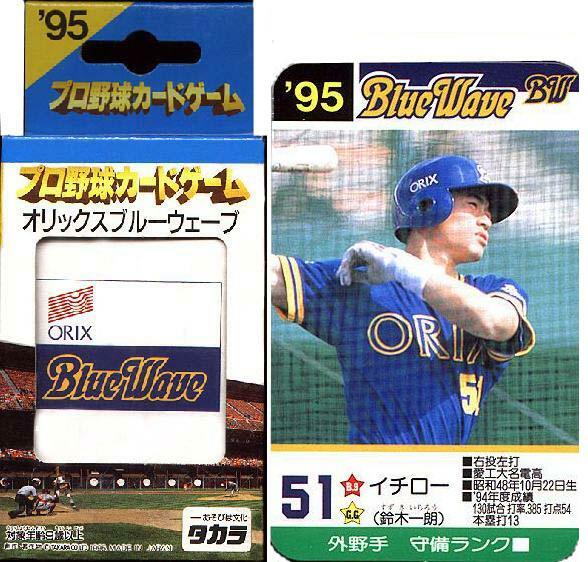 Takara '97 - Blue Wave 30-card Team Set or just Ichiro card. 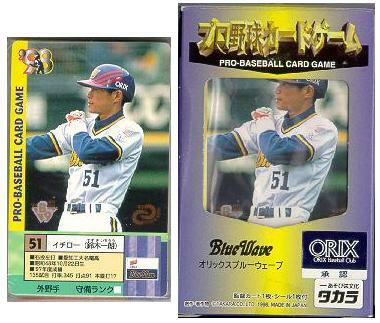 Takara '98 - Blue Wave 30-card Team Set or just Ichiro card. 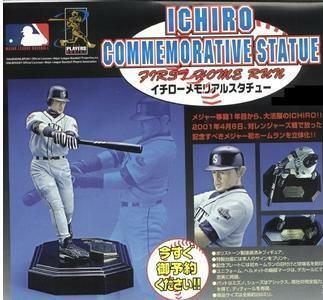 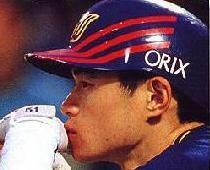 Takara '01 Ichiro Commemorative Statue. 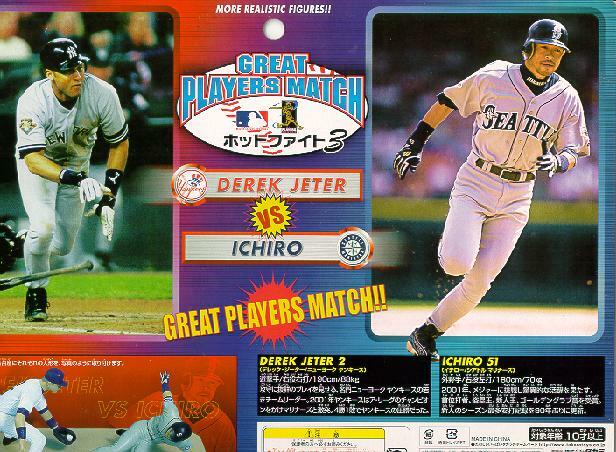 Takara '02 Great Players Match - Derek Jeter vs. Ichiro. 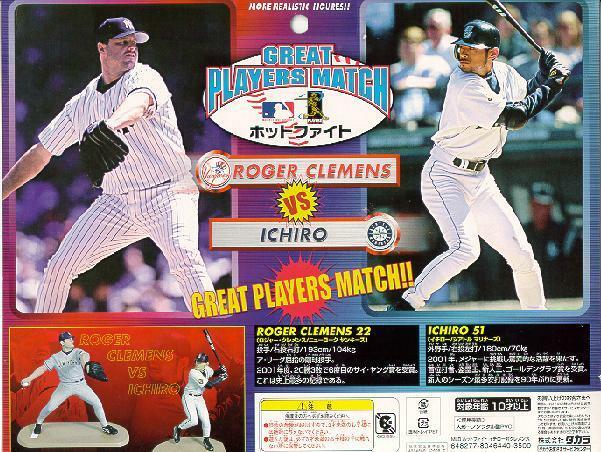 Takara '02 Great Players Match - Roger Clemens vs. Ichiro.